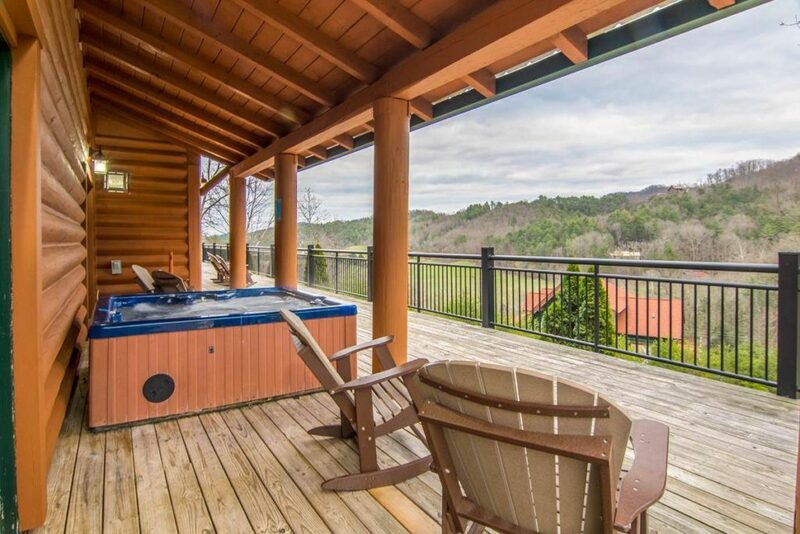 If you haven’t gotten together with all of your pals from high school or college in a while, a friends getaway in Pigeon Forge, TN is just what you’re looking for. Located a day’s drive from 60% of the nation’s population, the Great Smoky Mountain area is the perfect meeting spot for your far flung friends. When you all stay together at Moose Hollow Lodge, you can have an affordable and fun reunion under the same roof. 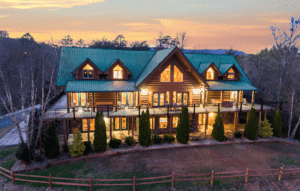 To help you make the most of your get-together, we have put together a few tips for planning a group vacation at our large luxury cabin in Pigeon Forge TN. When it comes to staying at Moose Hollow Lodge, more is definitely merrier! Our massive cabin in the mountains can accommodate up to 56 guests in 9 large bedrooms. 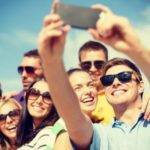 Having a big group is not only fun, but it is cost effective as well. The cost of renting the cabin can be split amongst your friends, so having more guests means everyone pays less. One great way to increase the number of guests is for each of your friends to bring their family with them. When you stay at our luxury cabin in Pigeon Forge TN, you can plan a fun movie night with your friends. Moose Hollow Lodge comes with an awesome theater room that features a huge viewing screen, surround sound, a Blu-ray player, and 22 deluxe cinema style seats. The theater even comes with rumble seat technology that you won’t find anywhere else in the Smokies! Whether you decide to watch a film that you used to enjoy years ago, or one of the newest releases, you are guaranteed to have a blast in our movie room. 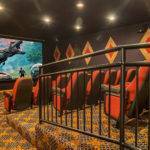 For some advice on enjoying our home theater, check out our blog about How to Plan an Awesome Movie Night at Our Pigeon Forge Cabin with a Theater Room. Having a BBQ at your cabin is a great way to relax with your friends. Just 150 feet from Moose Hollow Lodge, you will find a wonderful picnic area complete with two park style grills, a gas grill, four picnic tables, and a covered porch. Best of all, our grilling area is adjacent to our excellent indoor swimming pool! Heated for your comfort, this 12’ x 30’ pool has a maximum depth of 6.5 feet and is always 81 degrees. Pick up some burgers, steaks, and vegetables from a local supermarket and enjoy a fun afternoon of grilling, swimming, and catching up with your pals. 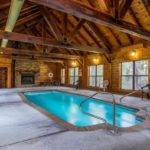 For more information about our luxury cabin in Pigeon Forge TN, take a virtual tour of Moose Hollow Lodge! We had 51 people with us and we were far from crowded. there were plenty of places to have a quiet conversation or just some alone time. the theater room is amazing AND there is a indoor pool. The kitchen is large enough for all three chefs that are in the family to work together and make all the meals without being in each others way. I would highly recommend this property for an gathering ( we had a family wedding).